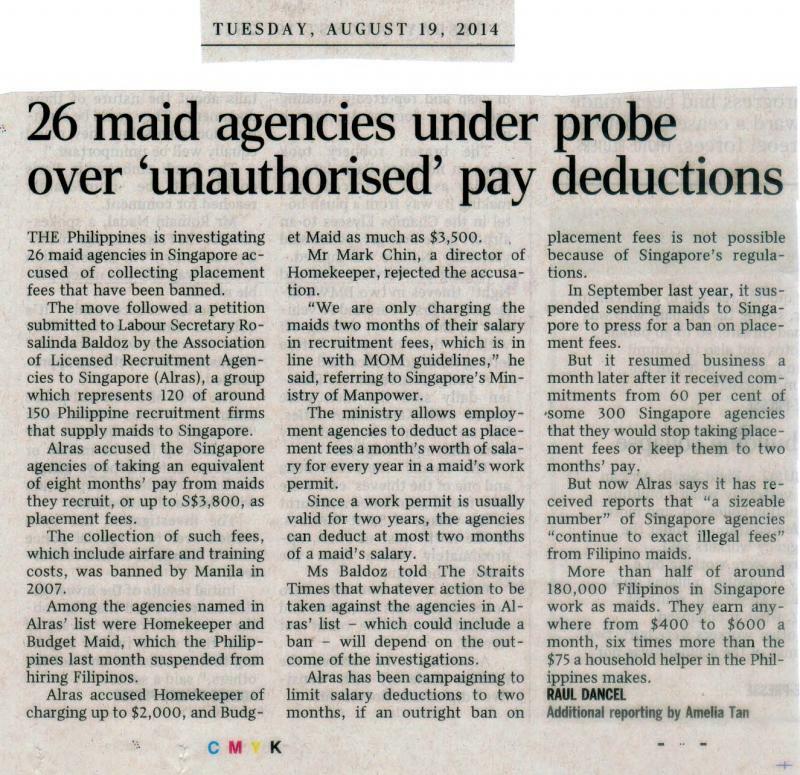 Employers are required to PAY the fees for a Filipino Maid before coming to Singapore. It can costs S$1,200 to S$1,500 for POEA documentation processing and another $500 to $700 for the Philippines Agent Placement Fees. In total, Employer pays S$1,900 to S$2,700 for the OVERSEAS FEES. In Singapore, the employer is charge the Singapore Agency Fees of S$500 (including bond/insurance, MOM application, medical and thumbprint). The1 to 2 months of placement fees is payable to the Singapore Agent. The total fees paid for a Filipino Maid can costs anything between $2,500 to $3,800.